Almost every night of the week, Seattle’s stages offer a roster of regional indie-folk artists, do-it-yourself punk bands and homegrown comedians, as well as nationally touring pop stars. To that end, choosing something for your night out can be a daunting task. This weekly guide can help by filtering for recommended shows, select dates and your favorite genres. Aziz Ansari, 7:30 p.m. Monday and Tuesday, March 18-19, at the Paramount Theatre. The actor and comedian will come to Seattle for two nights of another hilarious tour. Ansari is probably best known for his role as Tom Haverford in the popular NBC sitcom “Parks and Recreation.” Most recently, he won a best-actor Golden Globe Award for his role in the comedy series “Master of None,” which he created, on Netflix. Ansari will perform through June, circling back and forth between the U.S. and Europe throughout the duration of the tour. 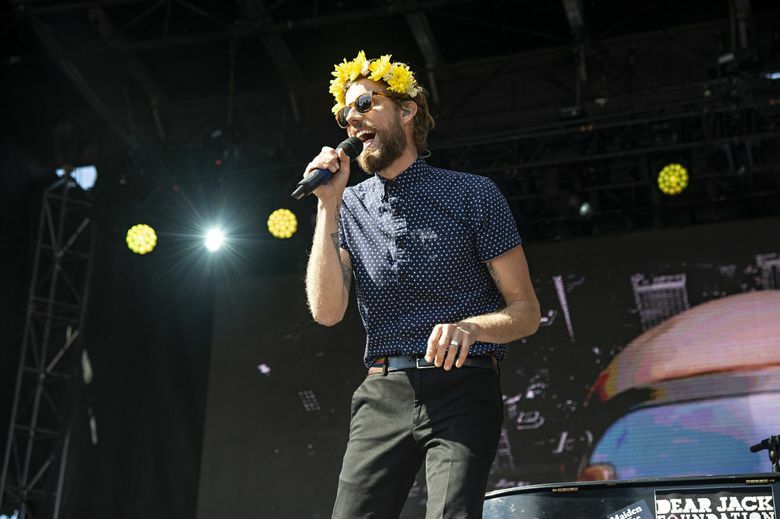 Andrew McMahon in the Wilderness, 7 p.m. Friday, March 15, at the Moore Theatre. The singer-songwriter will bring his solo project to Seattle for his Upside Down Flowers Tour. The tour is in support of McMahon’s third album of the same name. He was formerly the lead singer for bands Something Corporate and Jack’s Mannequin. In addition to his musical endeavors, McMahon, a survivor of leukemia, also founded the nonprofit charity The Dear Jack Foundation for cancer research. Yasmeen Wafai: 206-464-2309 or ywafai@seattletimes.com; on Twitter: @Yasmeen_Wafai.